Today I’m spending time with author and raconteur, Frank Hickey. To say his background is interesting would be a huge understatement. His adventures have taken him around the world, living outdoors or in crude huts, and learning the local languages and cultures. Welcome, Frank, I know my readers are curious to hear about your interesting background. Please give us a taste of Frank Hickey, the man. When did you start writing, and how did you awaken your muse? A wandering substitute teacher named Tash showed me that writing could be fun. I was twelve at the time and have been writing since. When crime destroyed my ideal Brooklyn neighborhood, my family fled into the world of the Manhattan elite. The two different neighborhoods were worlds apart. One suffered soul-killing crime, the other had none. These contrasts woke the writer in me. What has been your most rewarding experience during the writing process? When locals come up to me in the neighborhood and say, “Frank, I like your book.” Nothing beats that. Tell us about your books. Are they available in print and e-book? 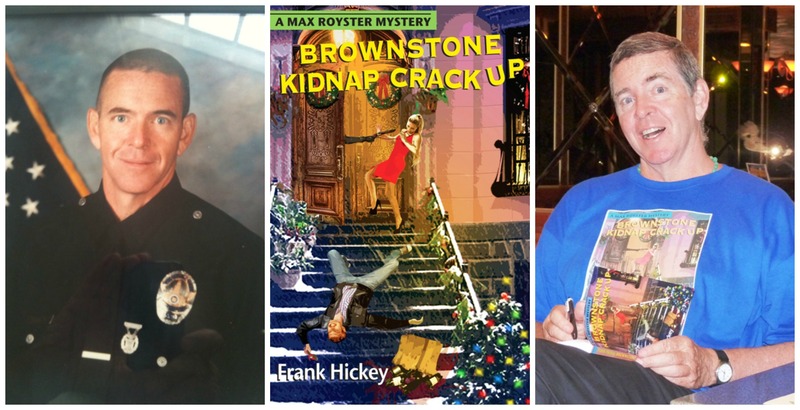 My crime novels, “Funny Bunny Hunts The Horn Bug,” “The Gypsy Twist” and “Brownstone Kidnap Crackup,” are available in print through Pigtown Books. We plan to move to e-books soon. As I said before, Brooklyn’s Flatbush area contrasted with Manhattan’s Upper East Side. My upbringing straddled both. To me, Flatbush is still magical. All is possible there. The elitism in Manhattan’s Upper East Side continues. You can age and die there without ever growing up. That is why I nicknamed that area “The Playpen” in my books. The split between the two worlds echo in my stories. My prep-school had expelled President John F. Kennedy in 1931. He and I shared the same Latin teacher almost forty years apart. I graduated from it and chose to flee the Playpen. Next came two years of working and living outdoors in Europe and North Africa. Back in New York, I became a private eye, specializing in murder defense cases. I then became a detective-investigator/police officer and later embraced police patrol in the inner cities of Savannah, Georgia, and Los Angeles. Where and what is the perfect surrounding for you to write? Sunny beach towns seem to work best for me. Rockaway, Nice, Venezia, El Salvador and Nicaragua coax forth the stories. The sea is our great clock. What are your immediate writing goals? Like all of us, I want to write scenes never written before. At the risk of hamming it up, I want to change lives with my stories. Frank, suffice it to say your life is rich in experiences, and I’m convinced you have an untapped reservoir of stories waiting to be written. I love the name of your publisher, Pigtown Books. The title could not be any more apropos for its authors. Thank you for visiting with my readers; much success in your future writing endeavors!